Achingly romantic and breathtakingly beautiful, Italy is the wedding destination that dreams are made of. Having inspired artists and poets for centuries, with its sun-drenched mediterranean climate, charming architecture and enchanting landscapes, it provides a magical backdrop for couples to exchange vows and celebrate with loved ones. Your wedding day should be a wonderful experience, full of delightful and lasting memories for you and your partner to cherish for the rest of your lives. 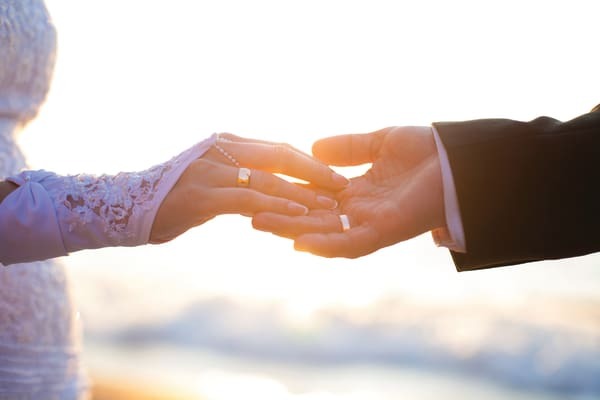 Topflight’s professional and experienced Italian Wedding Experts offer an unrivalled service, a wealth of knowledge and a courteous, caring and innovative approach to planning your special day. Enjoy a spritz in the stunning surrounds of Lake Garda. Years of experience means we know what makes the perfect Italian wedding. 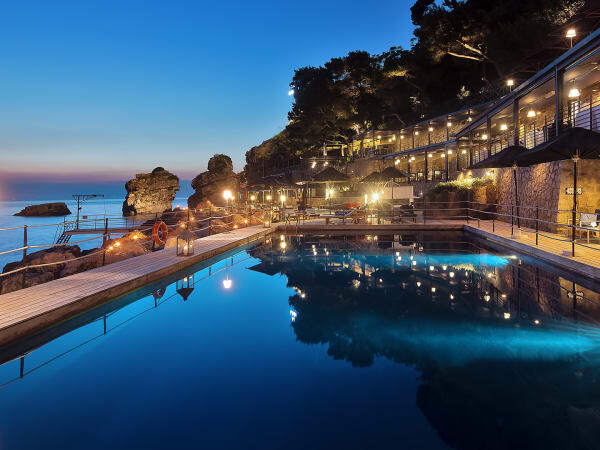 As Italian specialists, we at Topflight have a wealth of knowledge about some of the most romantic and beautiful venues for the most perfect weddings to take place. Whether it be an intimate exchange of vows by the sea or a vibrant celebration in a cosmopolitan Italian city, a traditional atmospheric Catholic church or a beautiful and unique setting for a civil ceremony… whatever your tastes and preferences, we are here to make sure you find the perfect wedding for you. Carmen Mazzone, Topflight Wedding Specialist. We Love Taking Care of the Details. We understand the smallest details can make the biggest differences. Topflight’s dedicated Wedding Specialist is passionate about delivering a wedding experience that clients are truly overjoyed with. We understand the importance of ensuring that both the big day itself and the lead up to it, run just as smoothly as possible. From the moment you contact us, you will feel confident in our specialist’s unrivalled knowledge of venues, hotels, churches and all the finer details to consider. 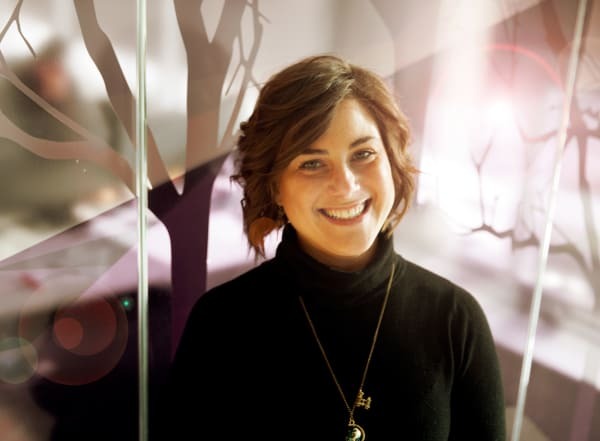 A native Italian herself, Carmen has years of experience working with Topflight, as well as a personable and approachable manner which assures clients that they are unquestionably in the best hands. We are committed to ensuring that your wedding package is perfect for you. Your wedding is not a one-size-fits-all occasion, it should be unique to you as a couple, reflecting your own personalities and tastes. Our wedding specialist takes care to get to know what you want from your special day and can customise your package accordingly. Whether it’s romantic and intimate or a big celebration, we can help you create the wedding day of your dreams. Surrounded by dramatic mountain scenery, Lake Garda enjoys a warm, balmy climate and awe inspiring natural beauty - a seductive and truly romantic combination for a magical wedding to remember. Beautiful and charming towns are dotted along the lake’s shore and there is a myriad of choice for brides and grooms to select from to ensure they have the wedding of their dreams. Lake Garda has a wonderful array of picture-perfect destinations for weddings to take place. From the ultimate fairytale-like Castle of Torri to the more traditional but equally as beautiful Church of Brenzone, there are a wealth of fabulous destinations for your special day to take place. Rome is undoubtedly one of the most romantic cities in the world. The very word ‘romance’ originated here so it’s no surprise that it makes for one of the most fabulous settings in Italy for a wedding to take place. 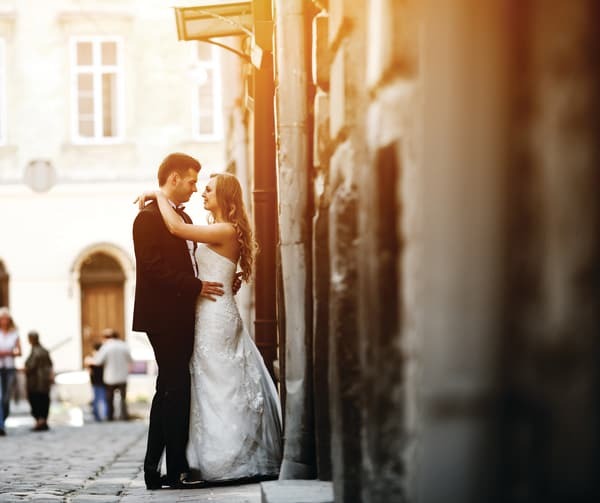 The city’s breathtaking architecture coupled with it’s cosmopolitan and exciting atmosphere means that there is no wedding quite like a wedding in Rome. If it’s a traditional church wedding you’re looking for Rome has some of the most spectacular churches to offer including the breathtaking Sant’Andrea Al Quirinale and the Church of San Giovanni. But if you’d prefer a more low key celebration, Rome has a lot to offer. 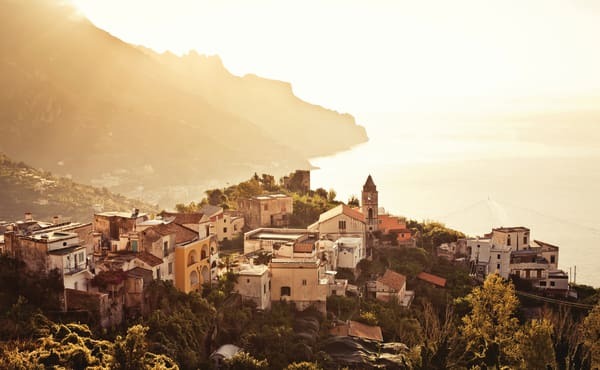 Set on a spectacular headland, Sorrento is located on one of the most magnificent coastlines in Italy, with breathtaking views sweeping across the Bay of Naples. It’s beautiful position coupled with its quaint and characterful cobbled streets and old town, make it the perfect wedding destination. With a beautiful combination of historic architecture and lush Sorrentine foliage, the Cloister of St. Francis is an elegant and wonderfully unique wedding destination. The town of Positano cascades down a cliffside and no matter where you are in the town, you are treated to mesmerising views of the sea stretching out in front of you. With an array of beautiful buildings, full of character, built into the cliffside and overlooking the crystal blue waters, Positano provides a truly enchanting location for celebrating the perfect Italian wedding. The church of Santa Maria Assunta, located in the centre of Positano is an enchanting location for a breathtakingly romantic exchange of vows. check Confirm all wedding day services such as cars, flowers, photography, video, hair and beauty appointments, guests’ transportation etc. Italian romance at it's finest. Undoubtedly romantic, Italy is the perfect destination not only for weddings but for honeymoons too. Throw a coin into the Trevi fountain to ensure you return, as you traverse the streets of Rome hand in hand. Immerse yourself in the romance of a gondola ride in the floating city of Venice. Let the charm of Sorrento with its golden cobblestoned streets and the quaint beauty of the breathtaking Positano, steal your heart. In Italy, no matter where it is you decide to honeymoon, you can guarantee it will be truly unforgettable.